The United States has awarded a contract for the manufacture of nine combat helicopters for Pakistan. 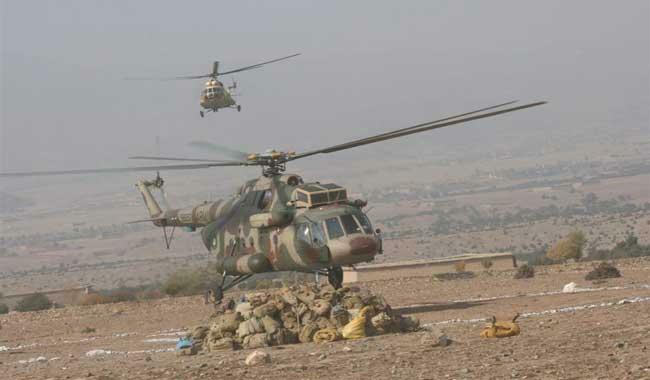 The combat helicopters will be delivered to Pakistan under the Foreign Military Sales Programme. The contract awarded for the manufacturing and delivery of aircraft and nine auxiliary fuel kits for Pakistan is expected to be completed in September 2018, according to the statement released by the Defense Department. “Foreign Military Sales funds in the amount of $170,173,188 will be obligated at the time of award,” said the notification by the Defence Security Cooperation Agency. Pakistan had originally asked for 15 helicopters. Now that nine out of them have been been ordered, it is unclear if the remaining six requested will be contracted at a later date and after how long. The Bell AH-1Z Viper is a twin-engine combat chopper based on the previous Super Cobra model developed for the US Marine Corps, Sputnik reported. The foreign military sale for helicopters was approved by the state department last year in April. The sale also included AGM-114R Hellfire II Missiles and associated equipment, parts, training and logistical support for an estimated cost of $952 million.